Elaine Hancock (Olney, United States) on 15 September 2014 in Landscape & Rural. What attracted me to take this photo was not only the white barn but the beautiful sky. . . and what a wild and wonderful sky that is ! Mention spéciale pour le ciel! Yes, the sky is beaitiful. 5 stars from me - I feel like I am not in Kansas anymore - Dorothy's barn is about to be whipped away. Gorgeous sky. Light and tones are incredible beautiful ! Quel ciel et image quel flanelles blanches dans ce ciel bleu et cette ferme de bois superbe. Wow ! excellent sky ! Very very awesome. The sky almost steals the show from that great barn. 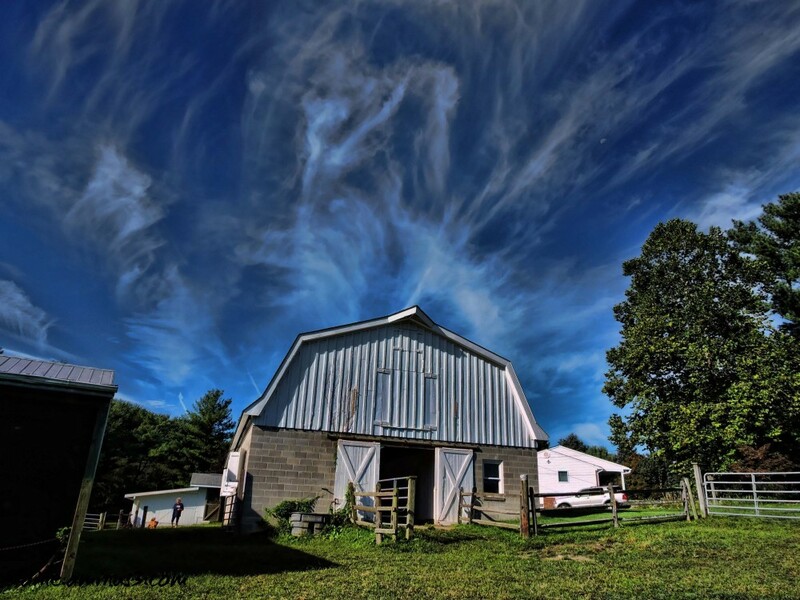 The sky is spectacular and the barn a fine shot itself. On a l'impression que les nuages "sortent " de la grange !!!!!!!!!!! superbe !!! One gets the impression that the clouds "out" of the barn !!!!!!!!!!! superb !!! That sky seems dancing ! That scene, the sky behind the barn, is outstanding, and unique. It is amazing, really! I agree with you ... the sky is absolutely spectacular !!! Beautiful blue sky, indeed with such animation captured in the clouds!! AMAZING sky, but I think I would have adjusted the verticals a bit. The sky is awesome ... reminds me of the aurora borealis; gorgeous photo! Les nuages semblent sortir de la grange ! Quel beau ciel ! le ciel est magnifique, on dirait une aurore boréale.